ICE-POPS (Interested Critical Explorers of Privately-Owned Public Space) believes that spaces are not public until the public knows about them. 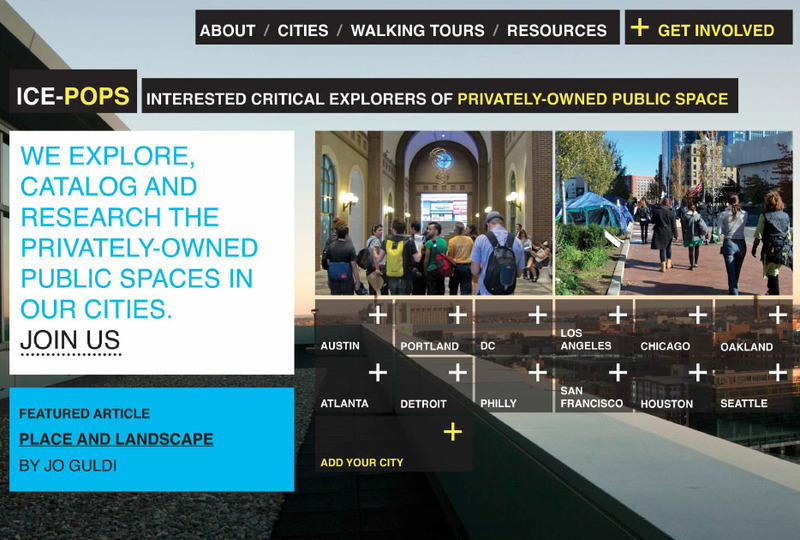 This open collective of urban explorers, planners, writers, researchers, and artists operating from cities across the U.S. identifies and catalogues privately-owned public spaces (POPS) and other public-private developments, and conducts walking tours of these sites in hopes of making cities more open and more public. “We feel that information-sharing is itself a radical act and that research can be poetic, brash, quiet, performative,” according to the group’s website, which invites people to participate by uploading their own documentation of POPS, aggregating research on site owners, designers, amenities, and other characteristics.